Hazy sunshine, high cloud, 21°, light ESE. 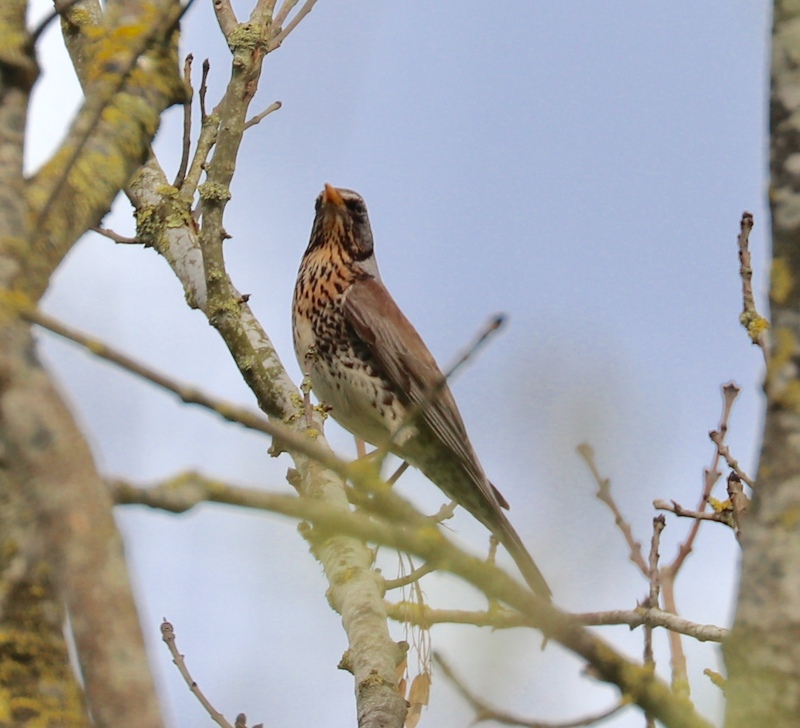 Firstly a Cuckoo heard late yesterday from Cholsey Marsh area. Per MA. 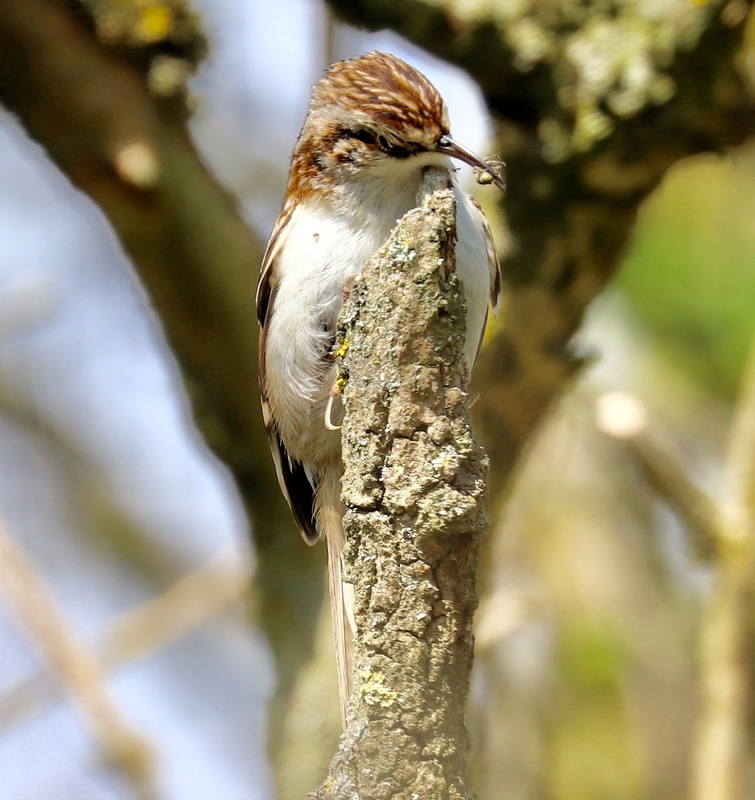 Lollingdon was a little busier today with 4 singing Lesser Whitethroat and the pair of Swallow have returned. A week later than their neighbours in the village. A Swallow seen collecting mud from a puddle in Church road this afternoon. Other species noted singing today were, 8 Chiffchaff, 9 Blackcap, 6 Common Whitethroat, 6 Yellowhammer, 1 Reed Bunting, 5 Corn Bunting, a Treecreeper and a few other resident species. Also seen: Raven, Little Owl, 2 Yellow Wagtail and 2 Jay. 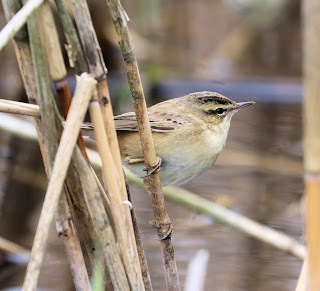 A Garden Warbler, Cetti’s Warbler and both Reed and Sedge Warbler at Cholsey Marsh. Per TW. Butterflies: Brimstone, Orange Tip, Green-veined White, Holly Blue, Small Tortoiseshell, Peacock, Speckled Wood and a possible Small Copper. Moths: TR caught a Lime Hawk Moth, a month earlier than any previous date in Cholsey. Sunny intervals, 21°, light ESE. Still only dribs and drabs arriving out at Lollingdon. An increase in the number of Common Whitethroat and 3 Lesser Whitethroat and singles of Willow Warbler, Yellow Wagtail and Sparrowhawk. 6-8 Yellowhammer, a single Reed Bunting, Green Woodpecker, Little Owl and a Raven. A Garden Warbler in the garden yesterday. Butterflies: Brimstone, good numbers of Orange Tip, a couple of unidentified Whites, good numbers of Holly Blue, Small Tortoiseshell, Peacock and Speckled Wood. A relatively quiet hill today. 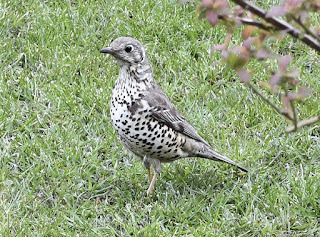 The first Yellow Wagtail of the year dropped in and a Mistle Thrush present. 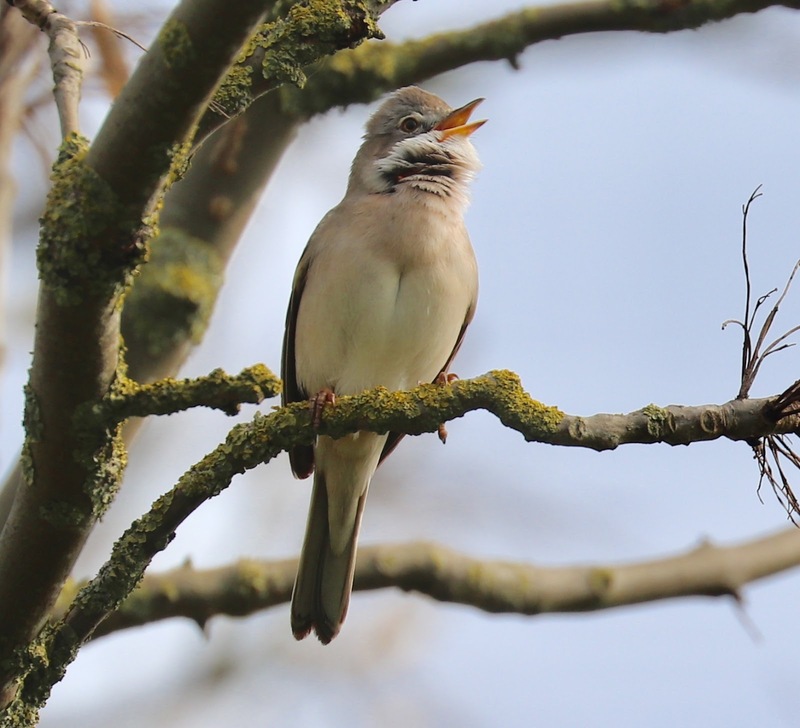 3 singing Common Whitethroat vying for attention and a Lesser Whitethroat and Willow Warbler nearby. 2 Raven in the area for a time and then flew SW and c20 Fieldfare still around. 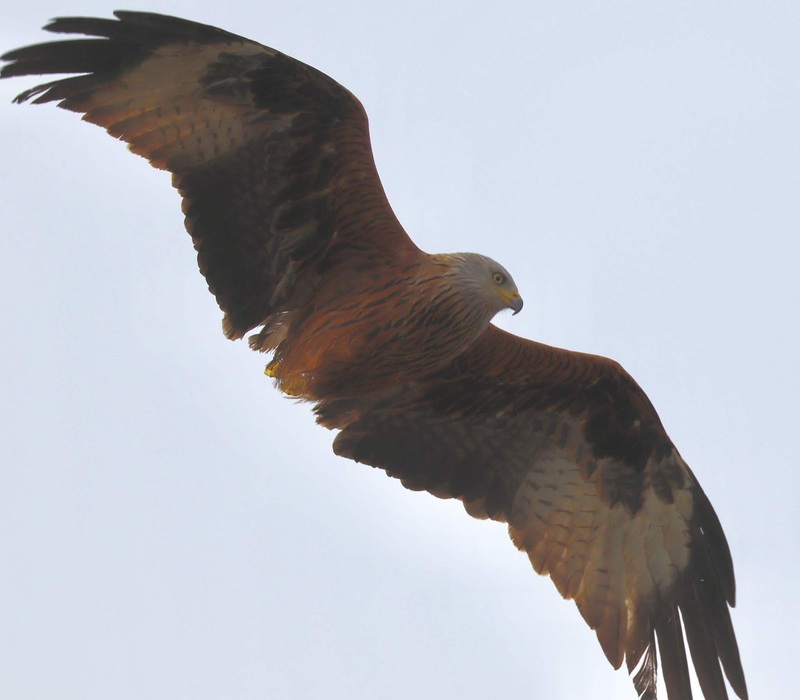 The "Tail-less" Red Kite over Station road allotments most of the afternoon. 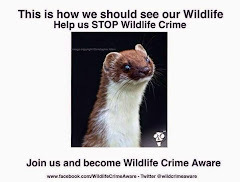 Mammals: Stoat, Brown Hare and Roe Deer. 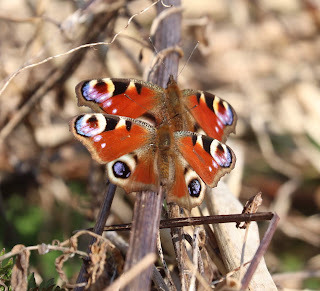 Butterflies: Brimstone, Large White, Small White, Green-veined White, Orange Tip, Holly Blue, Small Tortoiseshell, Red Admiral, Peacock, Comma and Speckled Wood. Most photos taken from a distance today. Stoat "running up that hill"
Another Willow Warbler today singing near the garden and a Raven over Route 1 garden centre. 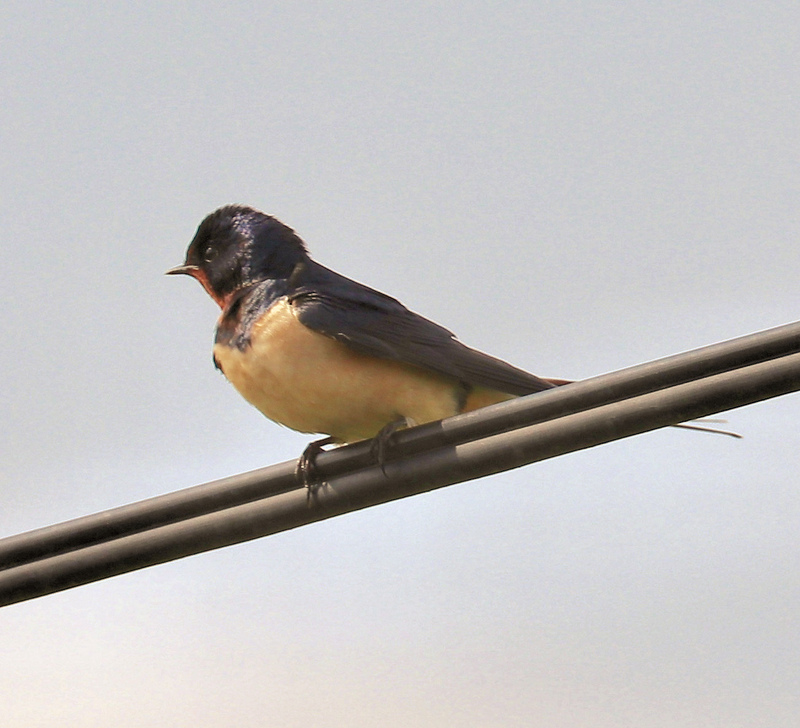 2 House Martin back along Church road this morning feeding overhead with several Swallow. A singing Reed Warbler at Cholsey Marsh, a flock of between 40-50 Fieldfare and a Common Whitethroat out at Lollingdon. Per AD. A sunny, hazy day, 15°, light E.
Not birding today but if you are outside you can't help noticing stuff. A Willow Warbler in the garden around midday before moving off and a Raven mobbing a Red Kite over the allotments early afternoon. 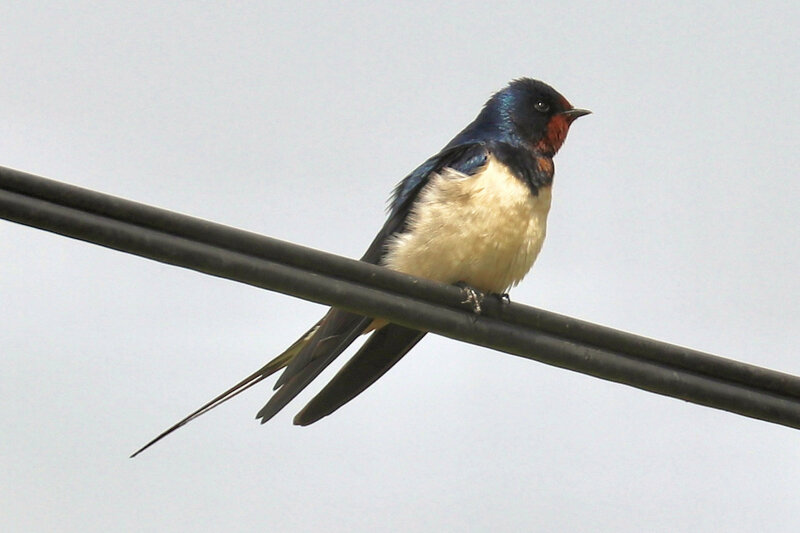 Several local Swallow are back along Church road and Manor farm area. 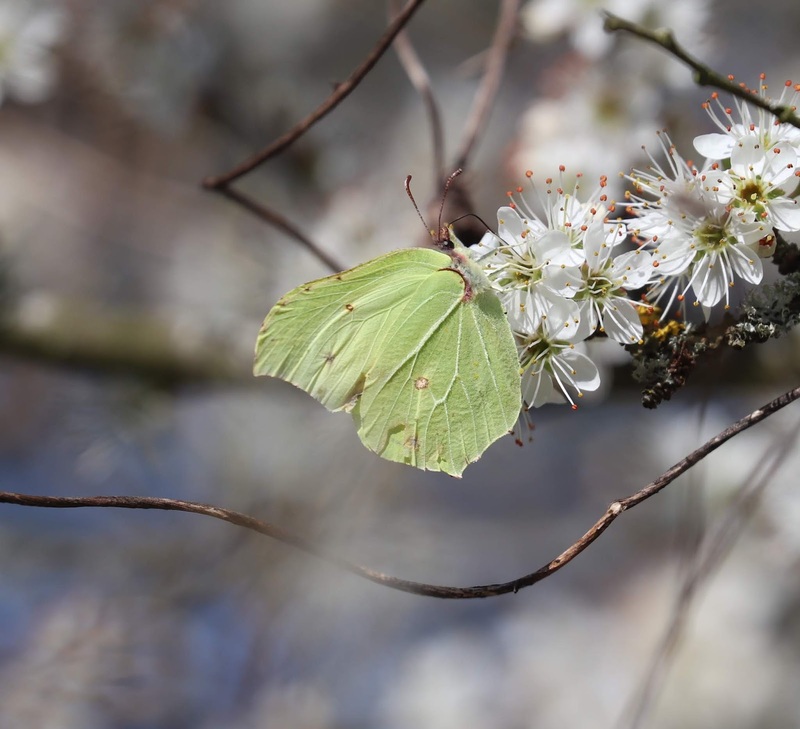 Butterflies: Brimstone, Orange Tip and Small Tortoiseshell. Misty and overcast with a few light rain showers, 12°, light NW. Not too much going on today, the hill was fairly quiet. 2 Raven flew south and a single Swallow north, several singing Corn Bunting present and a single Reed Bunting and 3 Yellowhammer. 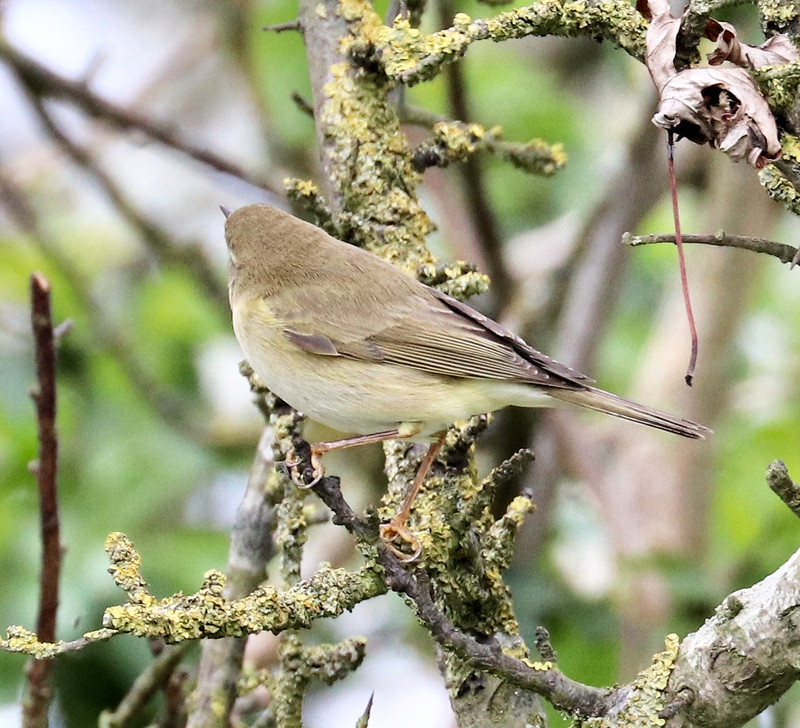 Good numbers of Chiffchaff and Blackcap in song and a single Common Whitethroat. A flock of 70+ Fieldfare present out at Lollingdon and the Little Owl seen. Several Sedge Warbler in at Cholsey Marsh. Per Ed & Alan. Mammals: several Voles noted but not specifically ID’d. Thanks to Alan Dawson for photos of Sedge Warbler & "Tail-less" Red Kite and Phil Dyson for the Mistle Thrush. A sunny day with high cloud, 14°, light ENE. 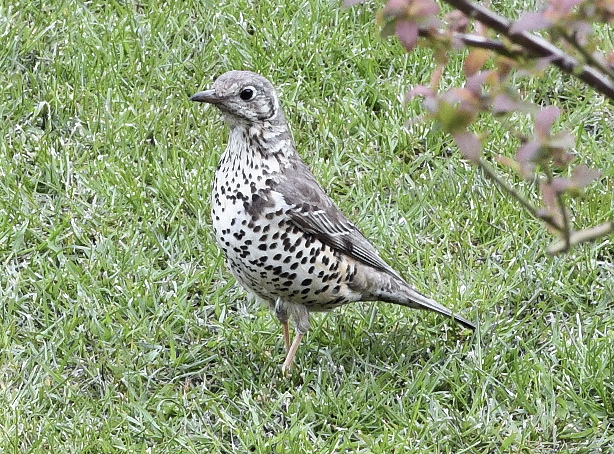 The first youngster in the garden today. The Robins have fledged one. Also the first Rooks have fledged with a couple in the garden early evening. 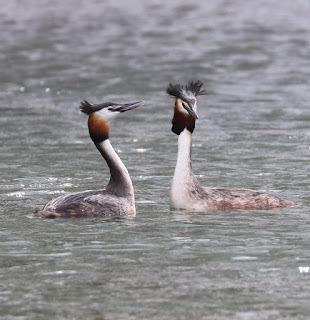 A couple of pics of it sat watching one of the parent birds bathing. Sunny with variable cloud, 8°, light E.
A bright but slightly chilly day. Went down to Cholsey Marsh this morning with Alan to help out on a litter pick organised by Ed Munday of BBOWT. It appeared that someone had been there before us and had filled quite a few carrier bags full of rubbish. Still, about 10 of us turned up and we managed to fill 2 large sacks with mainly plastic. The marsh appears quite dry at the moment and will be interesting to note any changes that may happen? Wildlife wise not a lot going on down there. The occasional burst of song from a Cetti’s Warbler and singing Chiffchaff and Blackcap. 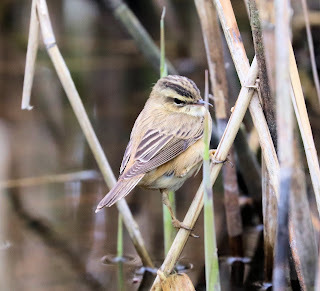 A couple of Sedge Warbler are in but not heard today. A Sparrowhawk flew over the marsh before I arrived and the odd Black-headed Gull cruising along the river. 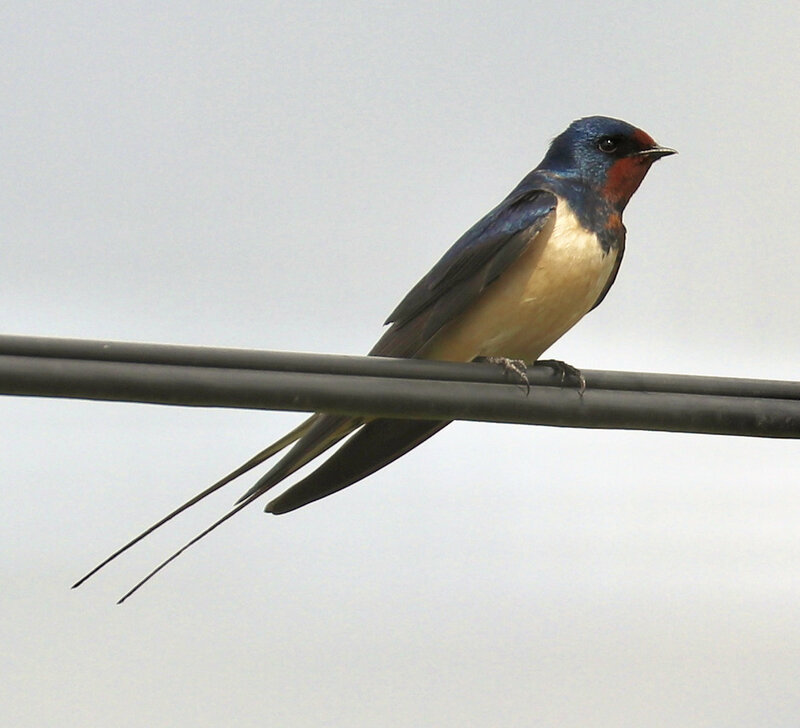 Good numbers of Swallow and House Martin feeding over Cholsey sewage works. Per Alan Dawson. Butterflies: Orange Tip and Speckled Wood. A few plants in flower were: Loddon Lily, Marsh Marigold, Lady’s Smock (Cuckoo flower) and Hedge Garlic. 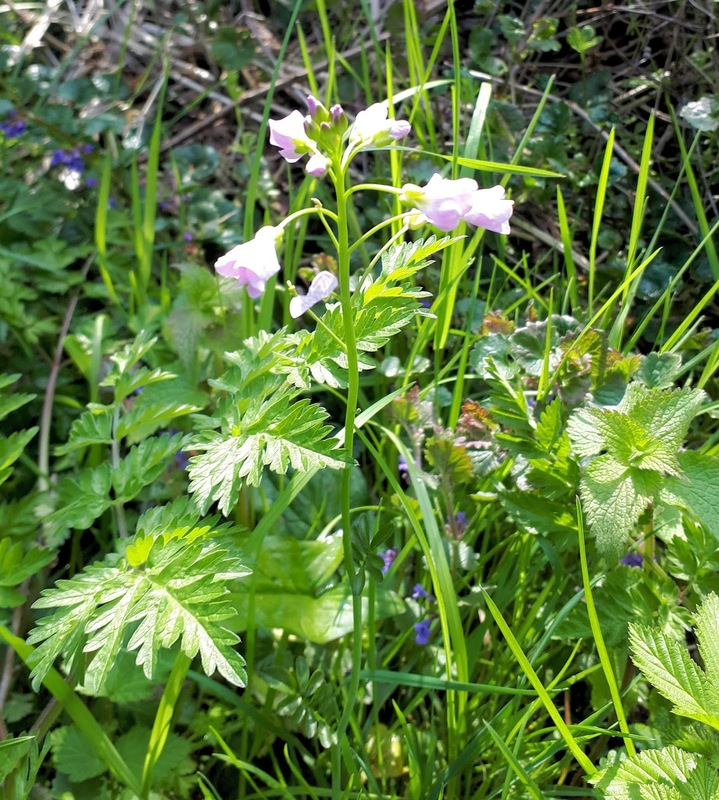 Thanks to Phil Dyson for the plant ID’s. Swallows and Corn Bunting courtesy Alan Dawson. Sunny at first then clouding up by midday, 9°, light E.
A few firsts for the year today as migration is slow but sure. A Common Redstart briefly on the hill but disappeared over the top and a Common Whitethroat present. A small flock of approx. 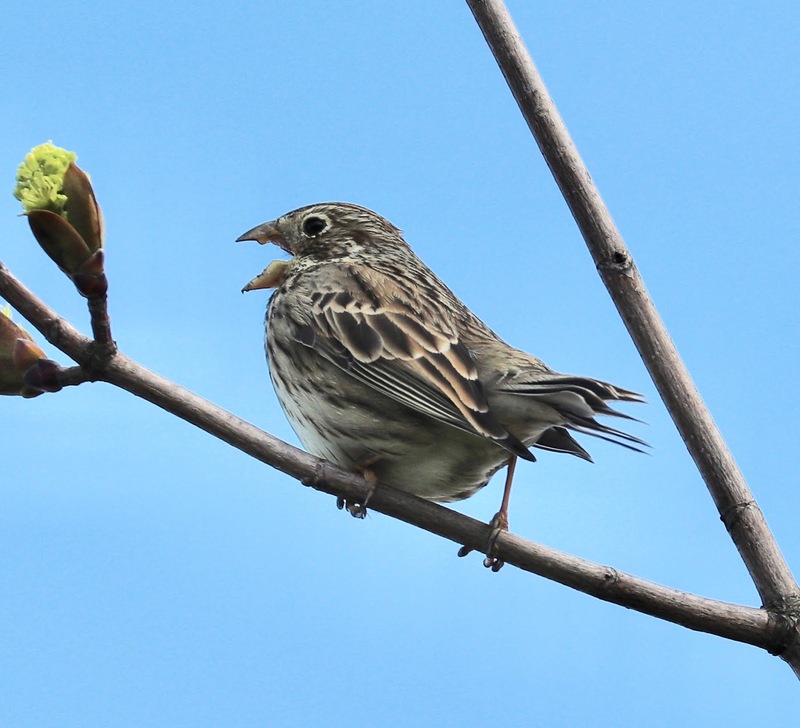 20 Corn Bunting flew through and at least 3 regulars present and singing. 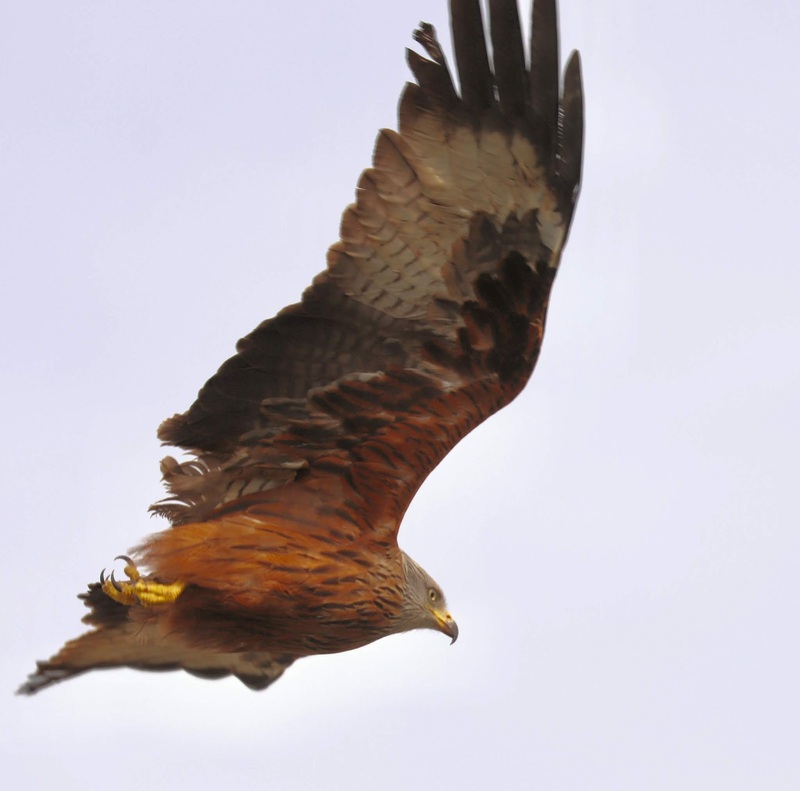 6 Buzzard and 10 Red Kite soaring high over the hill in the morning sunshine. Nearby a Willow Warbler in song and a young Little Owl seen together with an adult. 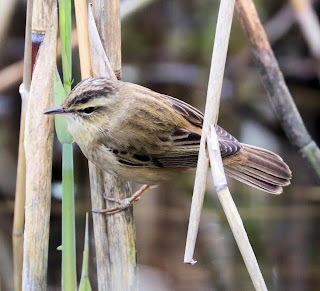 Both Chiffchaff and Blackcap frequent and a few Meadow Pipit present. A few Yellowhammer between the village and Lollingdon and 2 singing Goldcrest along Church road. A good flock of Hirundines over the Sewage works around midday with 20+ House Martin, c10 Swallow and 3 Sand Martin. And a House Martin seen by Tony Rayner yesterday over his garden. 2 Willow Warbler, 1 Blackcap, lots of Swallow and House Martin at Cholsey sewage works. Per Alan Dawson. A pair of Stock Dove considering a nest site in the garden. Butterflies: Large White (per TR), Green-veined White, several Small Tortoiseshell and a Peacock. Moths: another first for Cholsey, a Blossom Underwing. (Per TR). Insects: Black Oil Beetle and Dark-edged Bee-fly. 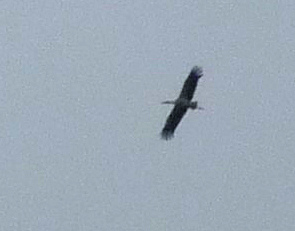 White Stork in Cholsey & Benson or was it Shillingford? A murky and wet day, 10°, light NE. A very different day today. I got back from Lollingdon this afternoon feeling quite damp after walking back in the rain. After drying off I fired up my laptop and saw an email from Stephen Haigh with a photo attached asking if it was a Stork. I downloaded the pic and enhanced it a bit and indeed it was a White Stork photographed over the Vets yesterday. Shortly after I noticed a FB post by Michi Laxton to the Benson Nature Group saying he had spotted a White Stork in a Field opposite the Benson Café. (Was it in Benson or Shillingford?). Putting 2 & 2 together I thought I’d better alert someone, so I phoned Tom Stevenson of the BNG and he went to check it out and about 30 minutes later he had confirmed that there was a White Stork there. At that point I phoned a few people to alert them to the news and managed to get a lift over myself with Alan Dawson to see it. 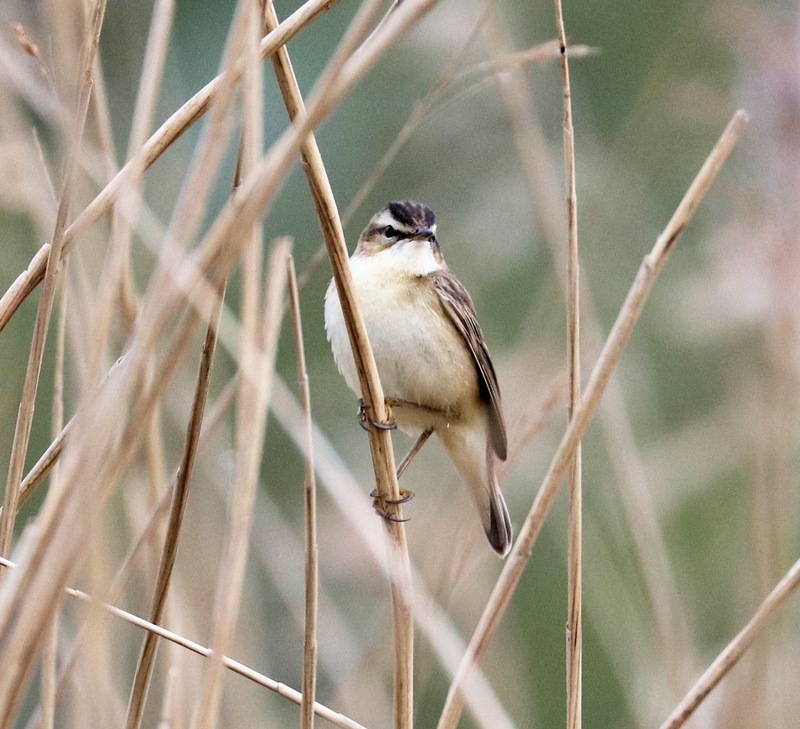 We arrived onsite at around 15:30 and saw the bird almost immediately in a field on the other side of the river. In the time we were watching it up to around 20 people managed to get there to see it and eventually it flew off to the NW at approx. 16:40. Whilst watching the bird both Geoff Wyatt and Badger noted it had a green ring on its right leg with the code Z9404. Now this is where tech comes in to play, Geoff Wyatt made a call to Ian Lewington and between them and Badger we found out that the bird had been ringed in Poland in 2011 and had subsequently been sent to and rehabilitated in Norfolk after flying into some overhead cables and sustaining an injury. It and another had then escaped and is now flying free. 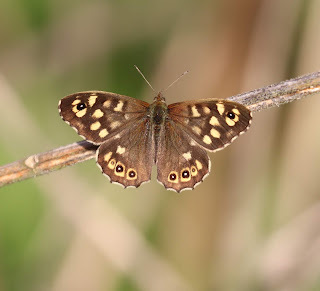 Not sure if it has been staying in the UK or migrating south each year and it had been seen in Oxfordshire in 2017 on Otmoor. This is the 2nd record of White Stork for Cholsey, the 1st being 5 on Cholsey Hill on the 26th April 2012. 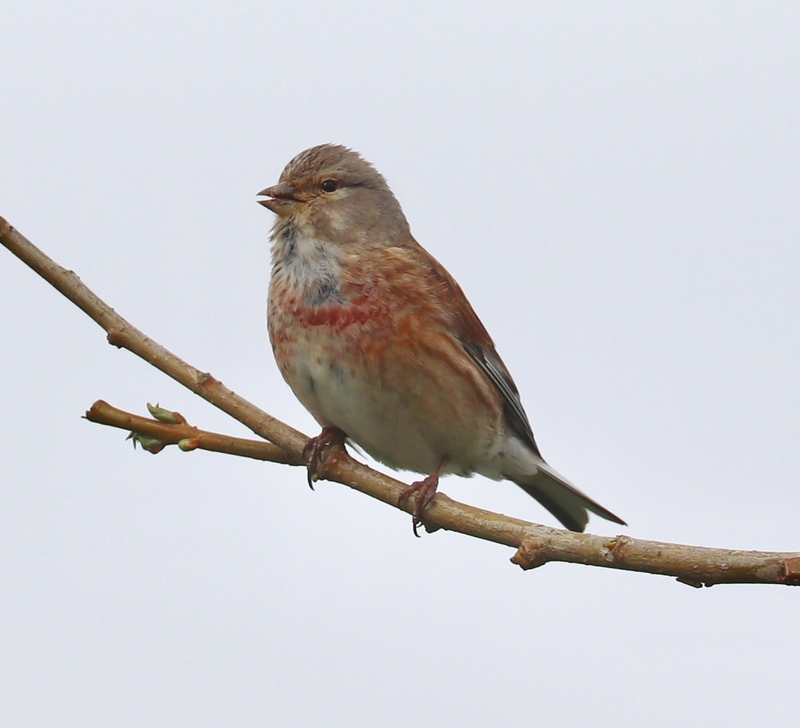 Whilst there I saw a small flock of around a dozen Sand Martin flyby, a Kingfisher and a Willow Warbler. 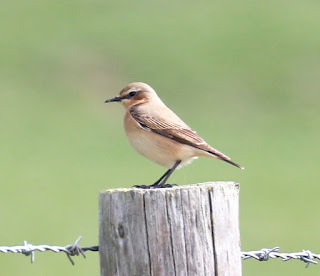 Back to this morning there was a female Wheatear on the Hill and around 10 Swallow appeared from the murk with several staying to feed flying around amongst the sheep. 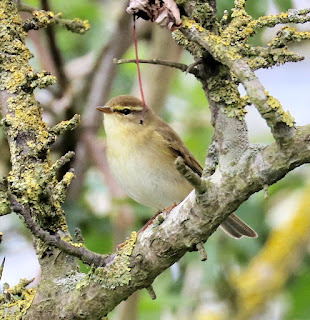 Several Chiffchaff and Blackcap noted but little else. 7 photos of the White Stork in Benson/Shillingford today. the last but 2 taking an earthworm and the last one of it flying off. A couple of rubbish shots of Swallows feeding around the sheep. 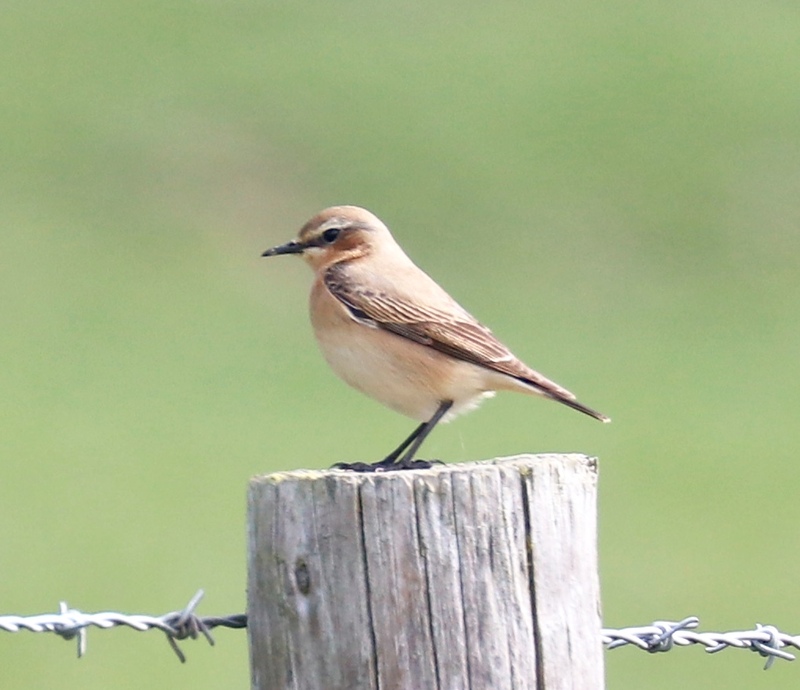 A Wheatear on Lollingdon hill today. Per Alan Dawson. A Swallow over the village this afternoon and the "Tail-less" Red Kite over the allotments. A Grey Wagtail singing by Church road Bridge. 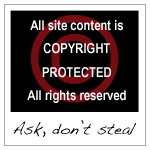 Per Richard Broughton. 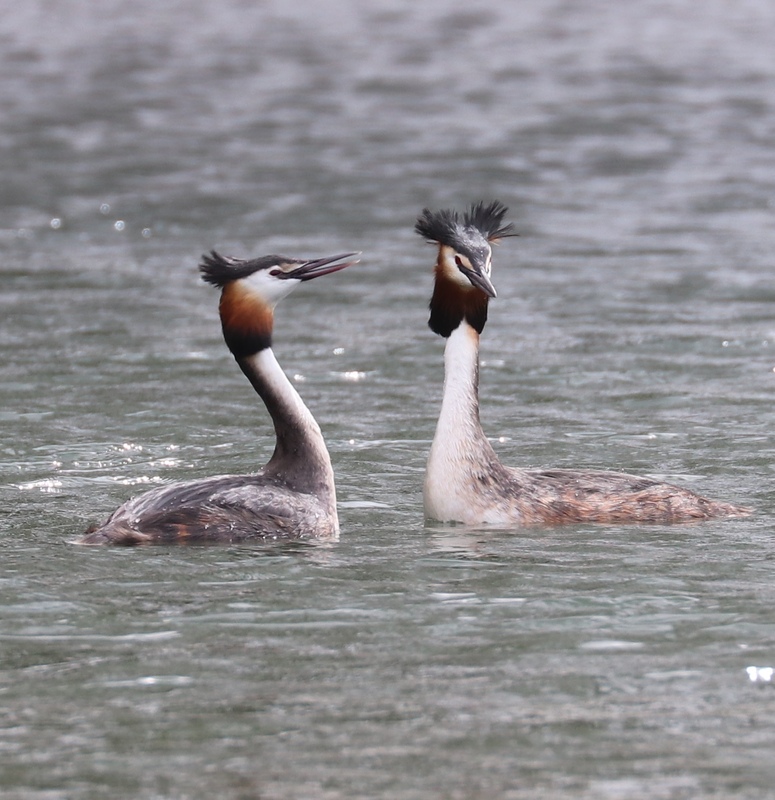 Female Wheatear above and Great-crested Grebe below. Both photos courtesy Alan Dawson. A cloudy day, 10°, moderate SSE. A breezy morning with nothing on the hill today. A single Lesser Blackback Gull flew south and a Little Owl nearby. Several Chiffchaff and a couple of Blackcap in song and not much else. 2 Swallow feeding over Cholsey Sewage Works, a Sparrowhawk and 2 Herring Gull present. 12+ Swallow seen later over CSW. Per Alan Dawson. 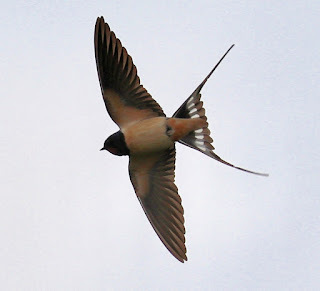 A single Swallow seen flying across Halfpenny Lane earlier in the week by Tony Williams.